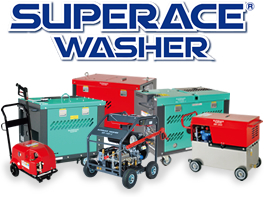 Select the item you want to view from three types of high-pressure washers and other products information. We deal with a number of products that are not listed here. We are looking for new suppliers with outstanding technology and price-competitive products that we can grow together with and prosper.